The PL-1340 precision metal lathe from Baileigh Industrial is perfect for those machine shops where precision cannot be compromised. 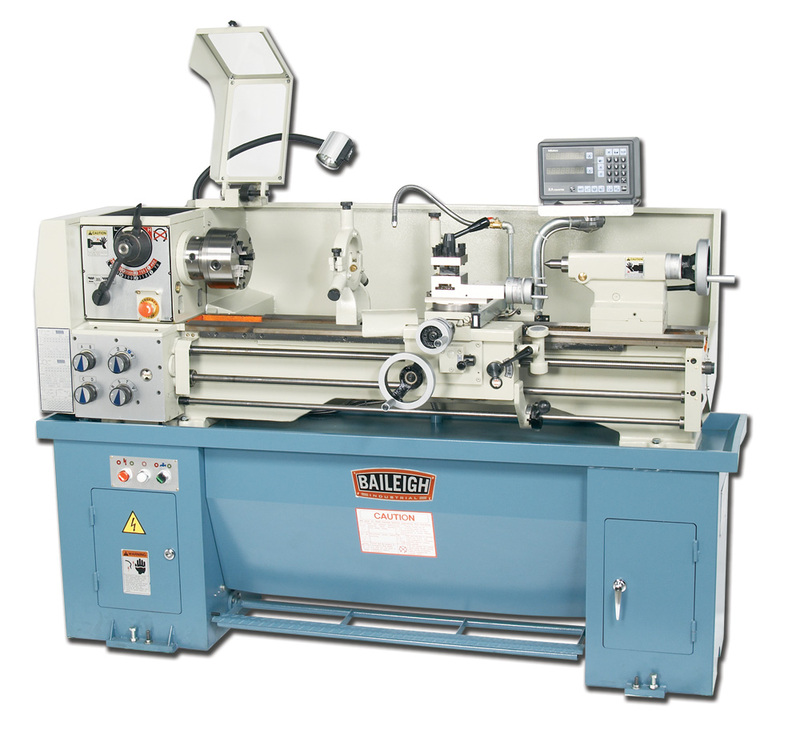 Like all Baileigh Industrial precision lathes, this small yet sturdy lathe is built to exacting specifications using only the best quality components. The PL-1340 is powered by 220 volt single phase power which makes it great for those shops where power selection is limited. The PL-1340 is a gear head metal lathe that offers eight speeds that vary from 70 to 2000 RPM. It also uses precision ground and hardened slide ways for all movement of the machining carriage. But, even the best ways are only as good as the castings they are attached to, so to make the PL-1340 one of the most rigid in its class, Baileigh Industrial only uses the best castings in the industry for both fit and finish. Other features included as standard on the PL-1340 precision metal lathe are; a halogen light, three jaw chuck, flood coolant system, backsplash, four way tool post and steady and follow rests. Another nice feature of the PL-1340 is that it has a factory installed Mitutoyo DRO (digital read out) great for making precise cuts. 32 / .0020 in-.5480 in/rev.